First known as trionfi in the 15th century, tarot cards became somewhat standardized by the 17th century. The real origins of the cards used as mediums are largely unknown. According to studies, they were used then for leisure purposes. Fast forward to the 21st century, these picture cards with corresponding meanings have not lost their luster. Not only are they usually used to understand the present situation in a more extensive manner and have a better idea of future possibilities, they are now also used as counseling and psychological tools. In fact, the integration of tarot cards in counseling, is increasingly becoming popular in the new-age community. Tarot card reading is seen as complementing consultative and therapeutic style of counseling. Adding tarot cards helps create a more collaborative partnership between the reader and the recipient of the reading. They also guide them towards a specific outcome. To have a more extensive idea of this process, interested parties are encouraged to read the succeeding paragraphs. How does tarot cards work with regard to psychology? To many rational people, the question still stands: how does pulling cards randomly out of a deck be relevant to an individual’s life? To add, how can they give pointers about the psychological state of his/her well-being. At this point, perhaps it is essential to realize that tarot cards are both a divination tool and an analytic device capable of unlocking and highlighting inner psychological spiritual dynamics. As a divination tool, the cards may suggest that the recipient of the reading will soon meet his/her lover, but as an analytical tool the cards may reveal the meaning behind this desire and how they can be pursued. To add, the cards may also suggest what are the challenges that can be encountered along the way. Tarot cards serve as instruments enabling skilled tarot readers help people understand their inner journey, helping them discover their inner knowledge, in turn, helping them improve themselves. This skill can be quite tricky, taking long hours of training and may take more than just a five-day tarot reading course. So again, when it comes to the question: how does pulling random cards out of a deck be relevant to an individual’s life? To answer this, it is probably wise to revisit a concept called synchronicity that was first introduced by Carl Gustav Jung, a world-renowned analytical psychologist in the 20th century. It is safe to say that Jung was one of the finest pioneers to bridge science and mysticism, alchemy and medicine, among others. Synchronicity refers to a phenomena, which can be referred as meaningful coincidences or as Carl called “a causal connecting principles between two events.” In simpler terms, it means that two phenomena can relate or complement each other in such a way—not based on cause-and-effect—but in hidden or mysterious factors. Even though tarot cards are divination tools, they are helpful in psychotherapy in so many ways. With the cards, the recipient of the reading holds the knowledge to his/her inner wellness. This is contrary to other therapy methods where the therapist or analyst gives perspective and advice, makes inquiries and then leads the session. Here, guidance comes from the patient-recipient through awareness—subconscious or conscious—the cards helps the patient-recipient take the lead in his/her “journey” by giving an idea of the next step. It should be noted that while tarot cards and counseling blend together, there are still ethical boundaries that need to be taken into consideration. 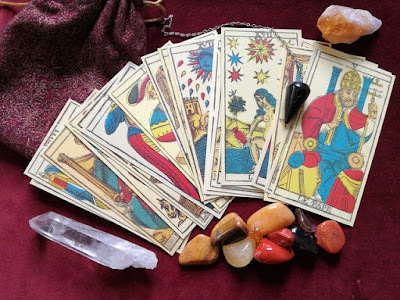 If a psychological client wishes to include tarot reading in his/her session, then it is best if a tarot appointment is prioritized since this gives the tarot cards the unadulterated attention that they duly deserve. This should not be overlooked since inserting tarot reading mainly to interpret a recipient-patient’s issue may dodge the skills of the average psychotherapist. If it is the other way around, like turning a tarot consulting appointment into a psychological counseling session without asking for the recipient’s explicit permission, it can be a clear cut violation if the tarot reader or one who will perform it is not a psychologist or a mental health professional. This is where a referral comes in handy. There it is, a clear-cut explanation of how tarot can be used as a psychological tool. 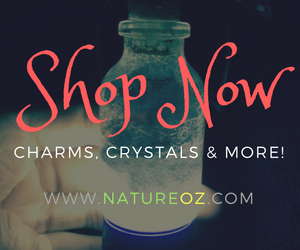 Those who are interested are encouraged to seek the help of professional tarot readers so they can see how this tool can help them improve the quality of their lives.